'Part of an advisor’s role is to continually discuss how markets behave and ensure that clients appreciate that their portfolios are designed and rebalanced according to their current personal situation and time frame,' says Sandra Foster of Headspring Consulting. How should financial advisors prepare their clients when it looks like a recession is on the way? This problem is a practical, not a hypothetical one. 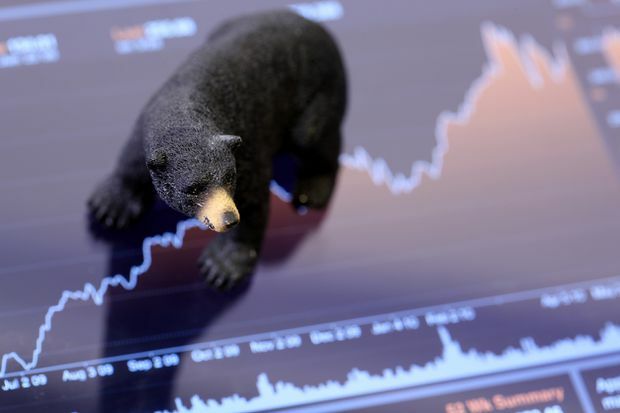 A recent survey from Boston Consulting Group Inc. found that 73 per cent of investors, including portfolio managers and buy- and sell-side analysts, expect a recession within the next two years. The survey of 260 investors, whose firms manage as much as US$15-trillion in assets, found that a third (33 per cent) said they’re bullish about the market’s potential over the next 12 months. Advisors and their clients alike should take these surveys with a grain of salt, says Darren Coleman, senior vice-president, private client group, and portfolio manager at Coleman Wealth, a division of Raymond James Ltd. in Toronto. Still, what if the predictions look accurate? “No one can predict what will happen in 2019 with perfect certainty. But the Boston Consulting Group’s findings don’t seem out of line with other data we’ve seen,” says Neville Joanes, chief investment officer at Vancouver-based robo-advisor firm WealthBar Financial Services Inc. Ultimately, it comes down to advisors managing clients’ concerns and expectations from two perspectives. One is behavioural, or addressing how they feel about a potential downturn. The other is what changes they should consider to their investment portfolios to weather any coming storm. At the same time, it’s important to offer some context. “Make sure clients’ expectations are managed as well. This applies not just to performance, but also to volatility,” Mr. Joanes says. Markus Muhs, investment advisor and portfolio manager at Canaccord Genuity Wealth Management in Edmonton, says it’s important to help clients become “emotionally ready” for a potential downturn. “They should understand how much the portfolio they’re in can go down if there’s a 5-per-cent, 10-per-cent, or 20-per-cent correction – and how frequently such corrections have happened in the past,” Mr. Muhs says. This information is consistent with what might happen if a recession does come, he says. “Over the long term, the average intra-year decline on the S&P 500 [index] was 14 per cent, so every single year, regardless of what people are forecasting, you should be willing to accept a 14-per-cent decline in the stock portion of your portfolio,” Mr. Muhs explains. “Part of an advisor’s role is to continually discuss how markets behave and ensure that clients appreciate that their portfolios are designed and rebalanced according to their current personal situation and time frame,” says Sandra Foster, president of Headspring Consulting Inc. in Toronto. “Clients who did not experience the Great Financial Crisis of 2008 may not be prepared to weather a recession, especially if they expect the markets to bounce back quickly. They may not realize what ‘over the long-term’ means in practical terms,” Ms. Foster says. On the behavioural side, Mr. Coleman says advisors should encourage clients to avoid any sudden, rash decisions based on bad news predictions. “There’s an old joke in the investment business that a portfolio is like a bar of soap: The more you touch it, the smaller it gets,” he says. There’s evidence that it’s more than a joke. Reports such as Dalbar Inc.’s annual Qualitative Analysis of Investor Behaviour show routinely that investors dramatically underperform their own investments when they tinker with them. “The reasons are entirely behavioural and avoidable as long as the investor receives and follows professional coaching. This is the key function of an investment advisor,” Mr. Coleman says. From an investment perspective, advisors agree they should keep clients focused on their goals. These goals depend on each client’s circumstances, including age, when they will need funds, how much they are counting on, and so on, Mr. Muhs says. “Advisors should look toward an ‘all-weather’ investment strategy for their clients that doesn’t need to change based on market expectations. We can’t time the market anyway,” he says. Investors who are reassured even during a downturn also should consider buying in when markets are volatile, he adds. “When a recession actually does hit, as it eventually will, they just add to their portfolios when their favourite investments go on sale,” Mr. Coleman says.